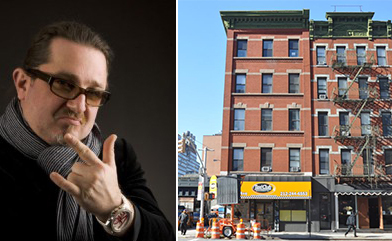 All is not well in the kingdom of “Taxi King” Gene Freidman. City marshals removed the medallion mogul’s taxi management company from its Chelsea home last month for not paying the rent. In June, a judge ordered the eviction of Freidman’s Taxi Club Management from its commercial space at 313 10th Avenue following a lawsuit brought by landlord Pradera Realty, which claimed the taxi man owed more than $77,000 in back rent. Freidman argued he stopped making the $15,265-per-month rent because of a myriad of problems with the space, including rat infestations and power issues. Freidman, who owns more than 900 taxi medallions, is also facing an ongoing legal tussle with banking giant Capital One. The lender claims Friedman hasn’t paid back more than $8.4 million in defaulted loans, which he used to purchase the medallions.